Real estate technology startup Reesio says it’s taking the next steps towards its goal of becoming a “one-stop shop” for real estate agents by making its transaction management platform available for free, and rolling out a raft of new features the company hopes will make its platform even more appealing to agents. Earlier this month, San Francisco-based Reesio announced it had raised an additional $1.096 million in seed funding and planned to use it to tackle the thorny issue of listing accuracy in its own unique way: by leveraging the data entered by its agent customers into its transaction management platform to capture exactly when a deal reaches each step in the transaction process. The company claims such real-time data will allow it build the most accurate real estate database available once a critical mass of users adopts its platform. Although Reesio’s transaction management platform itself is available at no cost, one of the new features launched today — lead generation — will cost $99 per month. But the lead generation feature is optional, and agents will be able to use Reesio’s platform for free whether they subscribe to it or not. Reesio will also no longer cover the cost of using DocuSign on its platform. Previously, the startup’s subscription fees for the platform — $20 per month or $195 per year for individual brokers or agents — included the cost of sending documents to others to be signed through DocuSign. Now, agents and brokers will be required to have their own DocuSign account in order to use the e-signatures portion of Reesio’s platform. For individuals, a DocuSign account starts at $15 per month with an annual subscription. Mark Thomas, Reesio’s co-founder and CEO, said the company would lose money if it continued to cover e-signatures for its users, given that the platform was now being given away. But he did not expect the change to be an obstacle for the platform’s adoption. More than 85 percent of Reesio’s existing users and potential users submitting customer inquiries already have their own DocuSign account. For the 15 percent of users who don’t have DocuSign, DocuSign subscriptions are available “for less than the price of any other transaction management product out there,” Thomas said in a statement. Besides, he said, being free is not the platform’s main selling point, but rather getting closer to that “one-stop shop” goal. the ability to make, accept, decline and counter offers directly within each Reesio transaction through a streamlined interface. automatically generated public listing pages that listing agents can use for marketing purposes by sharing the link through their websites and social networks. 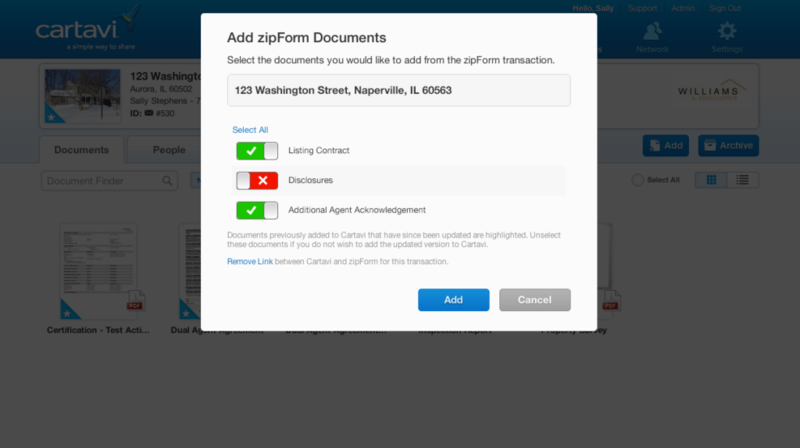 a revamped documents and compliance section that allows brokers to flag specific documents for review, comment on specific documents, and classify documents using a list of some 40 or 50 document types, up from some 20 document types listed previously. 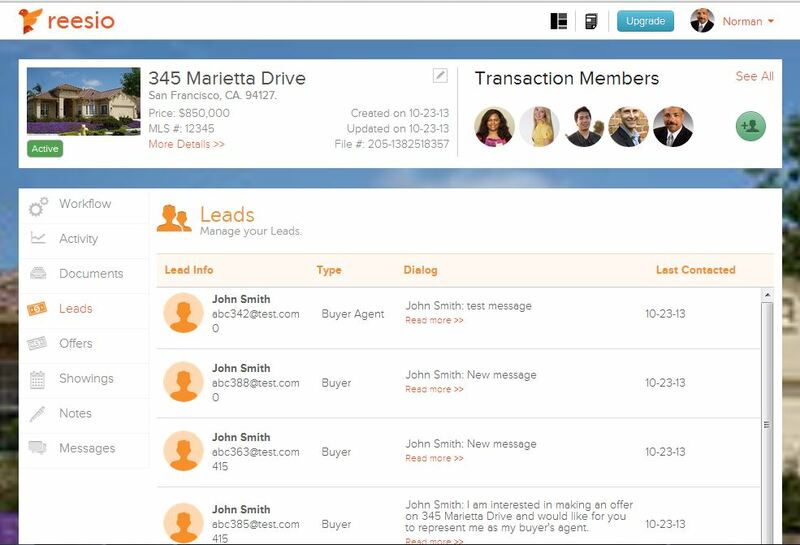 The paid lead-gen product is built on top of the public listing pages and gives listing agents the ability to opt in to receive new buyer leads directly into their inbox. 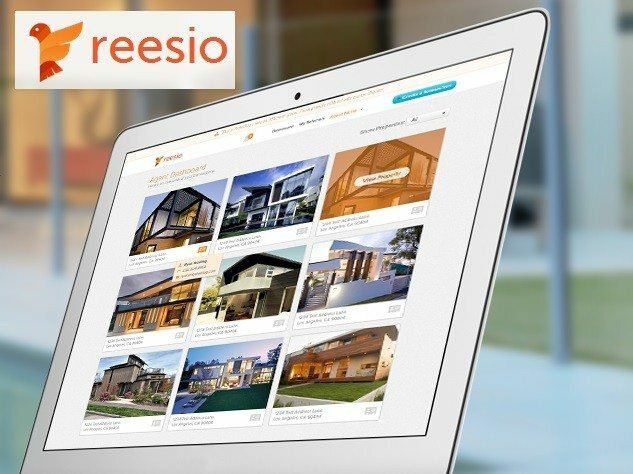 Reesio differentiates its lead-gen product from those offered on major listing portals Zillow and Trulia in that if listing agents choose not to purchase leads, Reesio does not then include advertisements from other agents on listing agents’ public listing pages. “(W)e leave the listing agent info in there as the only agent point of contact that a buyer can reach out to. And because listing agents can wait to see if they get any buyer leads before they decide to become a premium subscriber, they know that they’re getting something of value before paying,” Thomas said. Users would still receive messages from buyers, but the buyer’s name and contact information would be masked until the user subscribed. 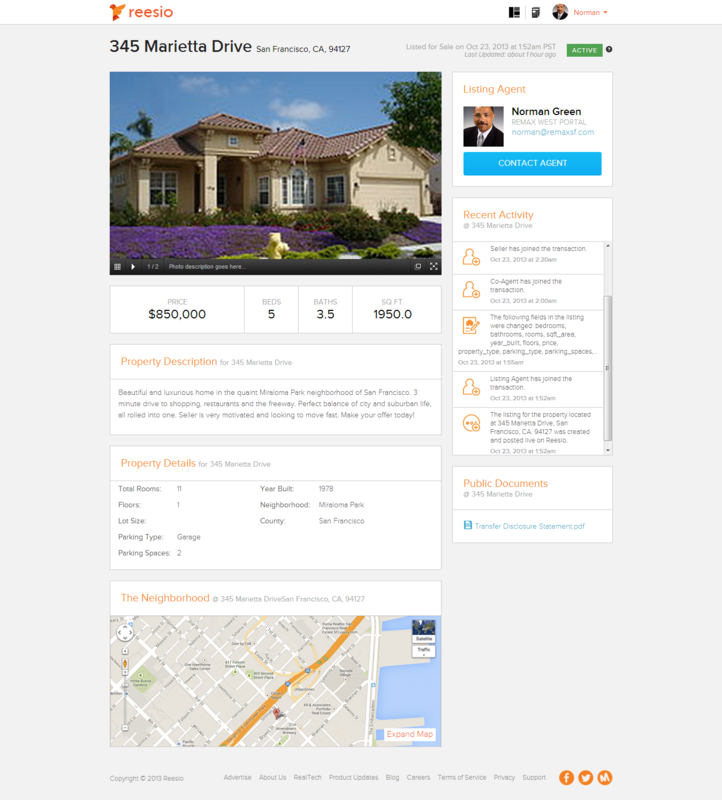 “We did a lot of usability testing around this, and 100 percent of agents said they would subscribe if they saw an actual buyer lead come in that they could respond to, so I don’t think it will ever be a problem that a buyer won’t be responded to,” Thomas told Inman News. He added that Reesio allows agents to cancel at any time, and “even just one buyer lead that converts more than covers a Reesio premium subscription. So there’s very little risk on the agent’s part. Reesio’s public listing pages allow buyers to contact listing agents to send them a message, schedule a showing or make an offer on the listing. Only buyer’s agents are allowed to submit an offer. Buyers can either opt to have the listing agent represent them or include their buyer’s agent’s name and email to send that agent a notification that the buyer would like to make an offer on the property. Any buyer’s agent who has not get created a Reesio account will be directed to do so at no cost. When making an offer, the buyer’s agent types in key details such as purchase price, deposit amount and down payment amount that are then visible in Reesio’s offers page, and attaches a purchase agreement with further details, signed by both the buyer and the buyer’s agent. This makes it easy for the seller and the listing agent to sign the agreement and make the deal official, Thomas said. 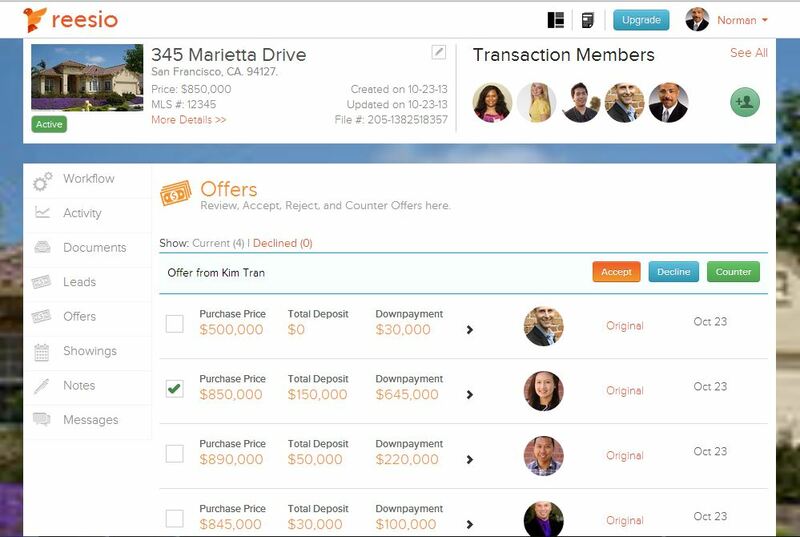 The listing agent has the option to easily accept, reject or counter offers, and the system allows for multiple rounds of counteroffers. Each party gets automatically notified every time a move has been made. Counteroffer history is recorded so that each party can see the “play by play” of what has happened with each offer, Thomas said. Now that Reesio has a new round of seed funding under its belt, the startup will begin to work on scaling its user base, partially through search engine optimization and search engine marketing. The company also hopes its now-free platform will take off virally among agents, with agents inviting other agents to join. “Our goal in the next 18 months is to get between 700,000 and 1 million properties in our system for 15-20 percent market penetration,” Thomas told Inman News earlier this month. Reesio also plans to roll out a third-party vendor program in which ads appear before buyers and sellers at the precise moment when they might need vendors’ services. For instance, an ad for staging services could appear in front of a seller when a listing agreement is signed. “We have talked to a lot of third-party vendors, small and large, and there’s a tremendous amount of interest in this. It’s going to be a relatively big priority,” and Reesio hopes to launch the program in the next few months, Thomas said. The program will likely include a rating system for quality control, he added. Reesio also eventually plans to roll out a full-blown customer relationship management system to manage the leads it produces. Offering consumers comparable offers and sales on Reesio’s public listing pages is also on the horizon, likely coming online in the next three to six months, according to Thomas.